The proper way to inform everyone and to be aware of the problems, circumstances or legal process is to give them a notice. 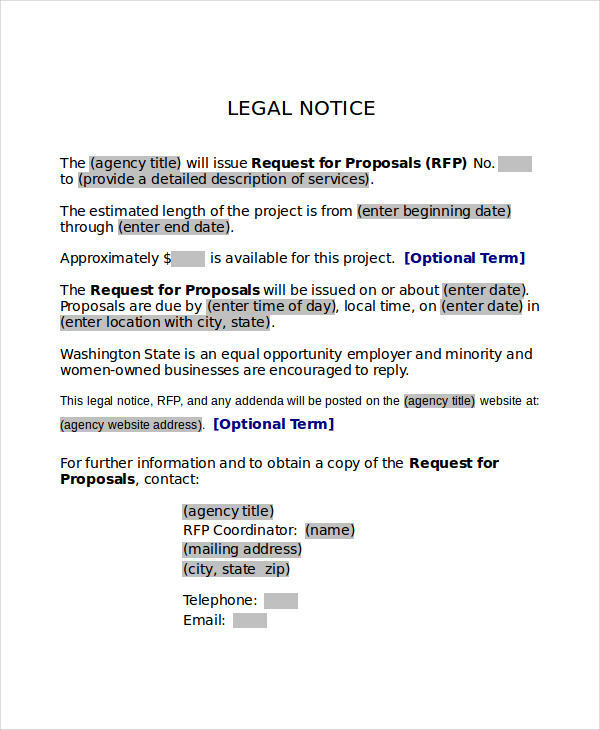 A notice is just a short piece of writing that doesn’t exceed a single page and usually written in a formal style. Take action notice as an example. 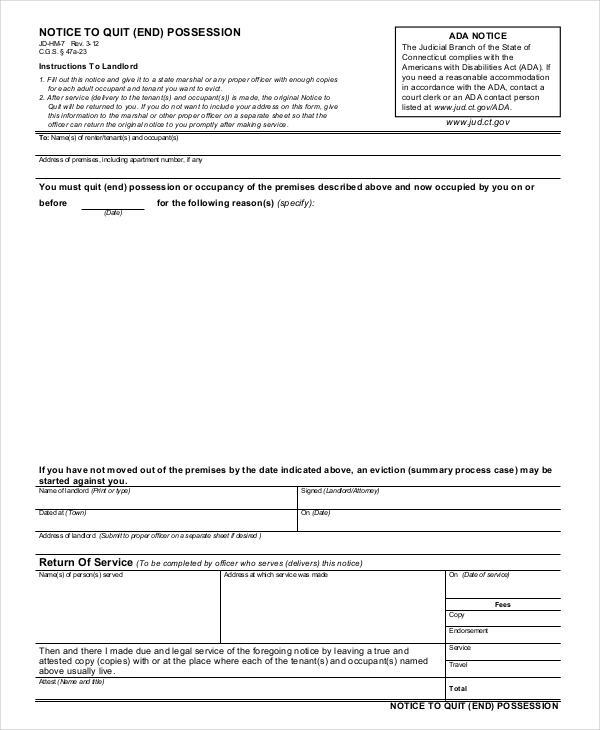 Action notice is sent if the credit loan application is denied. 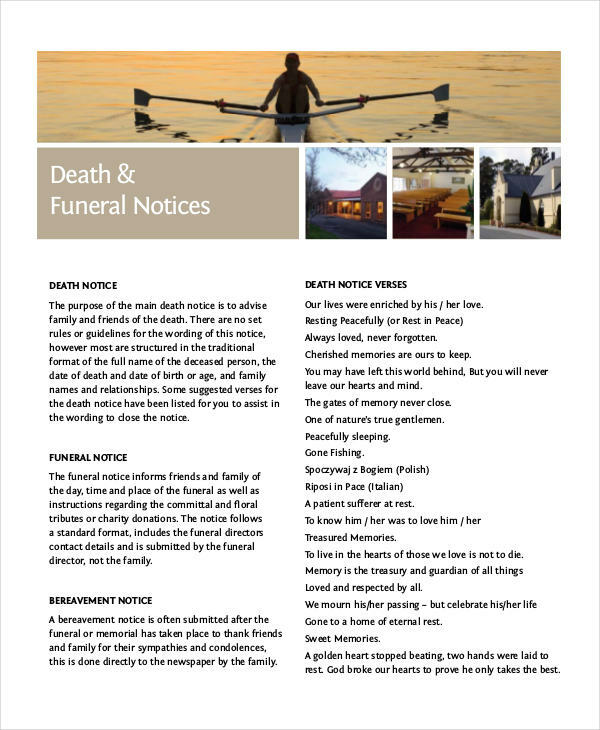 A notice is also used to announce major events and celebrations, such as a wedding, big party, deaths and other occasions like inaugurations. 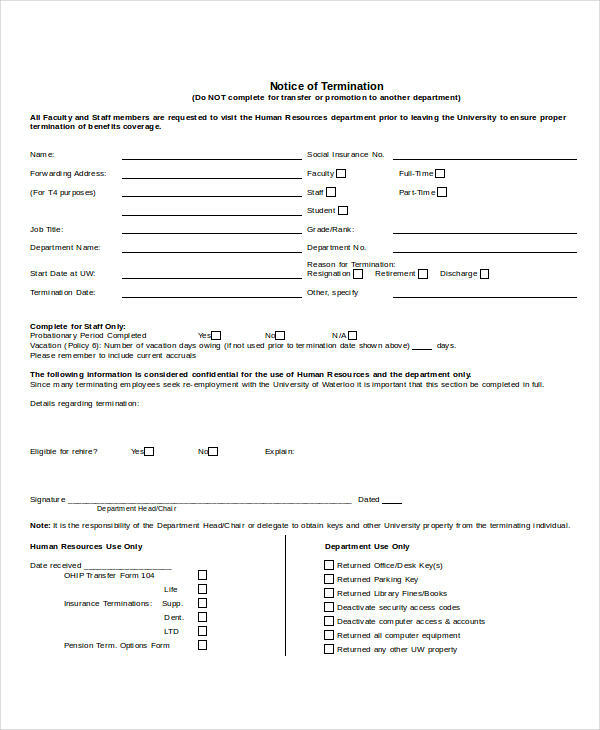 Notice is meant to be pinned or posted on a notice board in the school, organization, and institution just like an appointment notice. 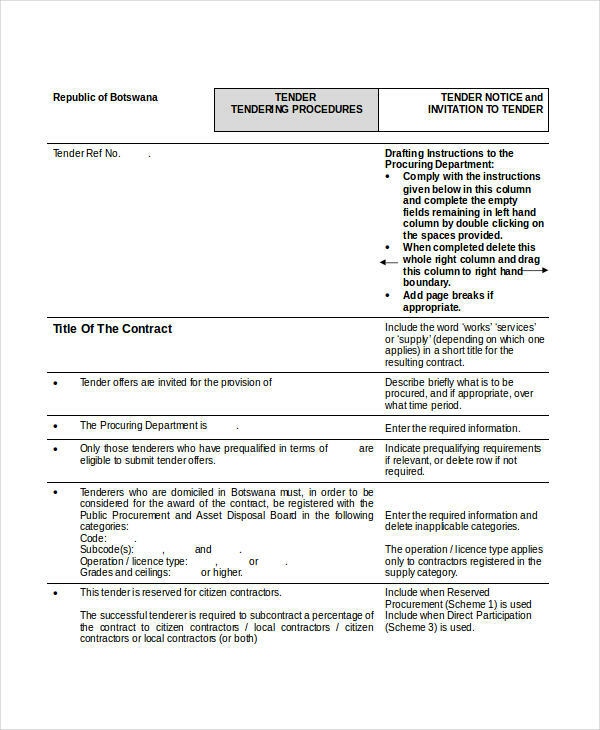 However, the information and agreements in the notice are subject to change without notice. 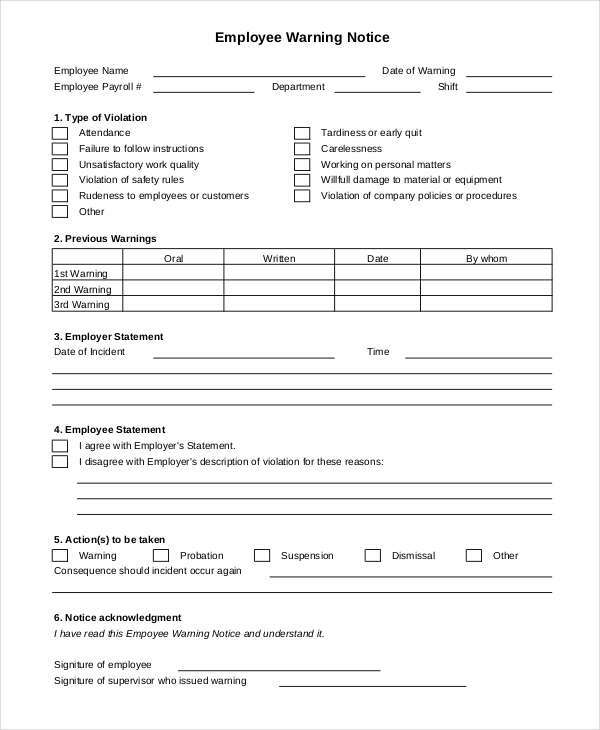 As stated above, a notice is a formal kind of document and that it should be written with formality and should keep some basic points in writing a short notice. Your notice should have all the complete information and must be clear and concise to avoid confusions and misinformation. 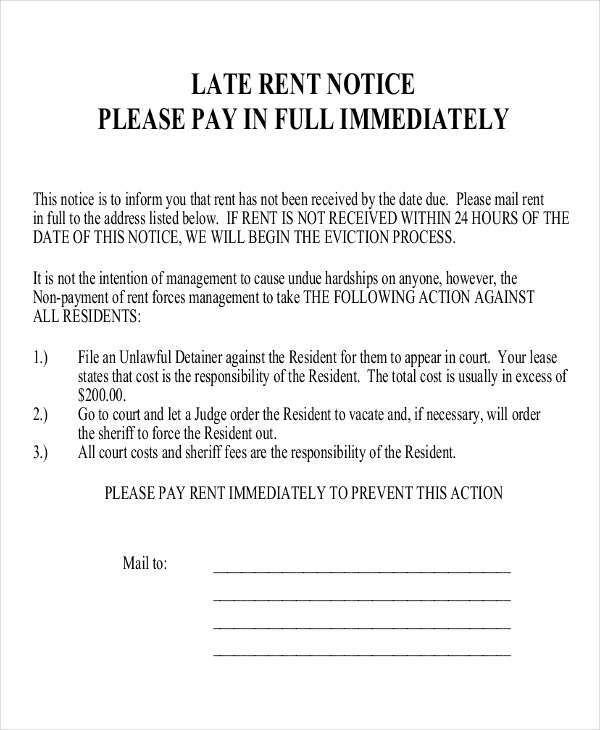 Here’s how to write a proper notice. First, state the venue, date, and time. Next, write the purpose of the notice. Then, Write the people or the organizations that are involved. After that, give specific instructions. And lastly, provide a contact person and address. 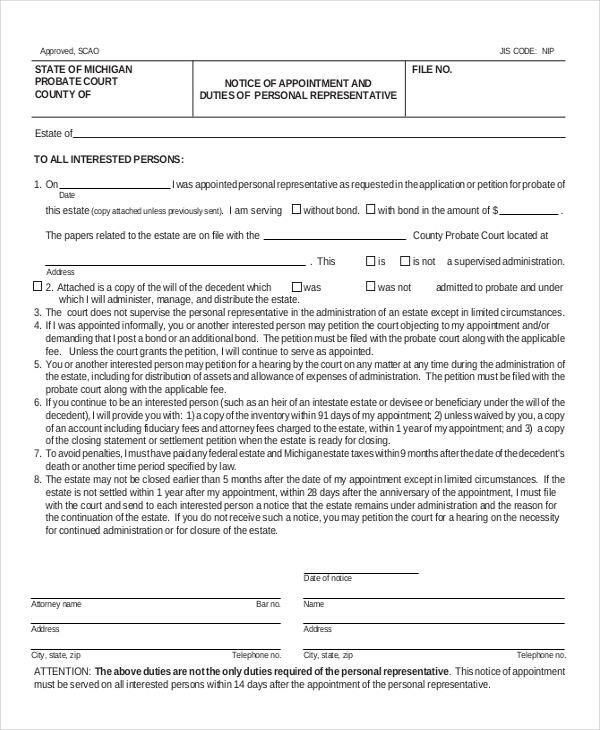 This article provides formal notice examples to get you started. 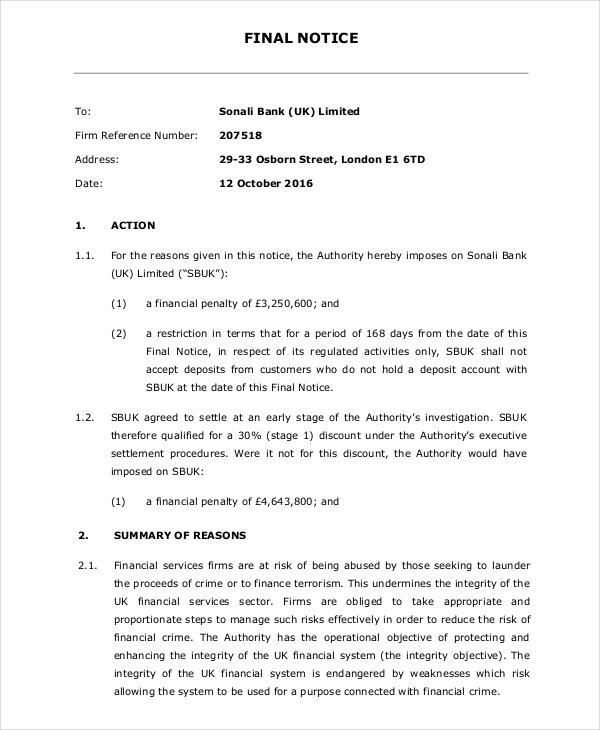 A notice is a piece of document that can be found anywhere. 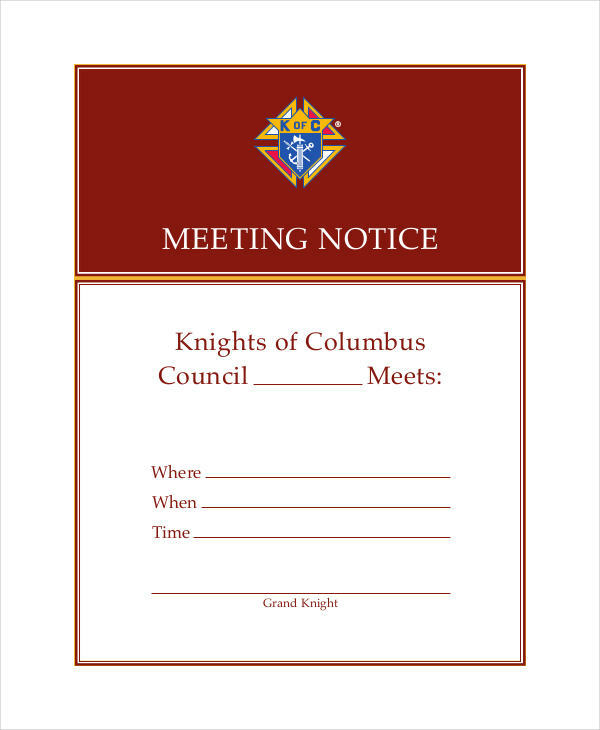 You can find a notice in the school, organization or in the company. You can even find notice written in the newspaper. It is because a notice is very important and that it serves its purpose. To inform people of an event and have them to attend. To notify people about the changes of the current situation. To give people enough time to prepare. 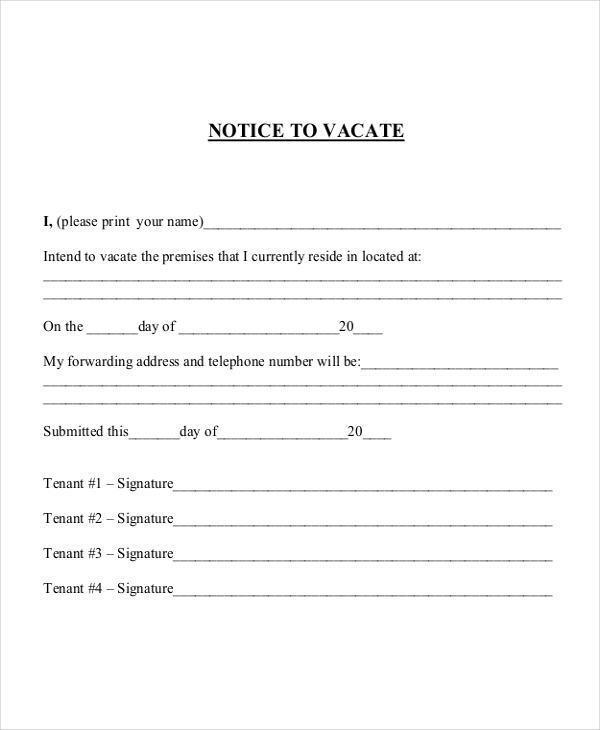 And to inform someone about their termination or eviction. 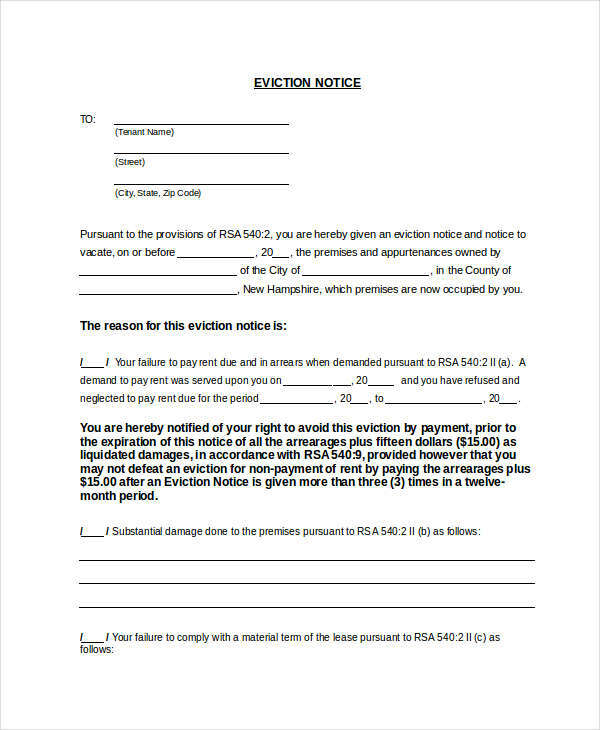 Speaking of termination and eviction, check out our termination notice and eviction notice examples. There are different kinds of notice. 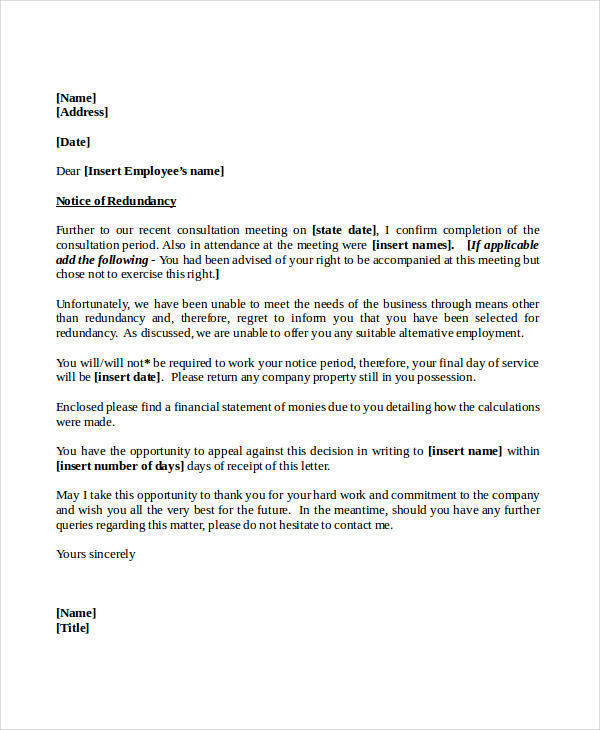 There is a cancellation notice that is used when you have to cancel a particular event or membership, there is a termination notice that is used when a company will terminate an employee regarding with his/her performance or that a company will have to downsize the number of employees. 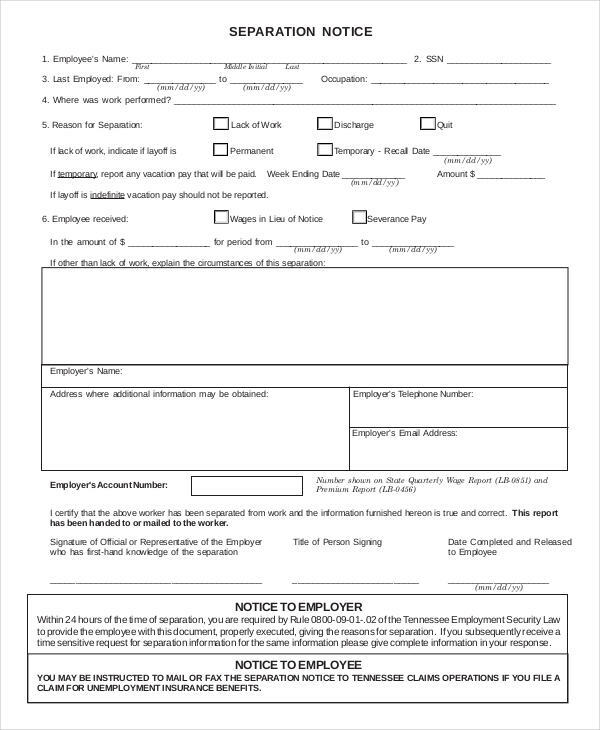 There is also a two weeks notice example that the employees used to notify the head of the firm that they decided to quit their current job. 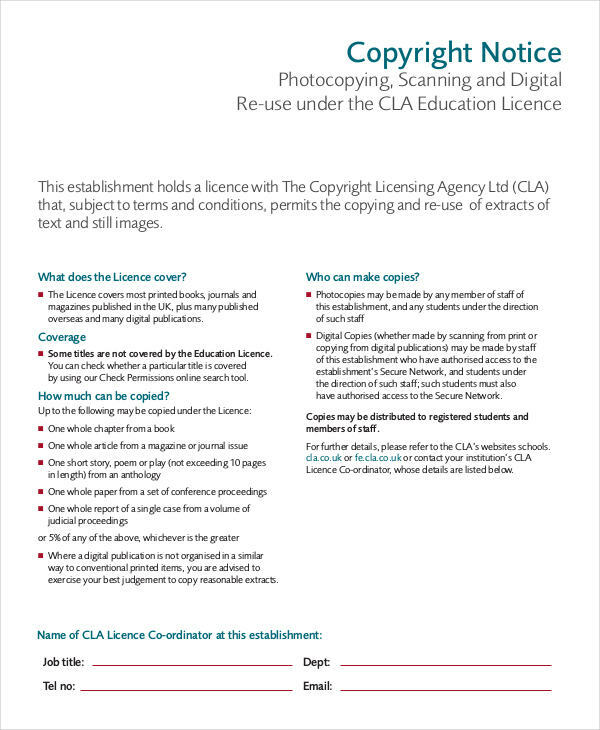 There are lots of different notice, but the most common thing about these notice is that it is a formal document and there are standards to follow. 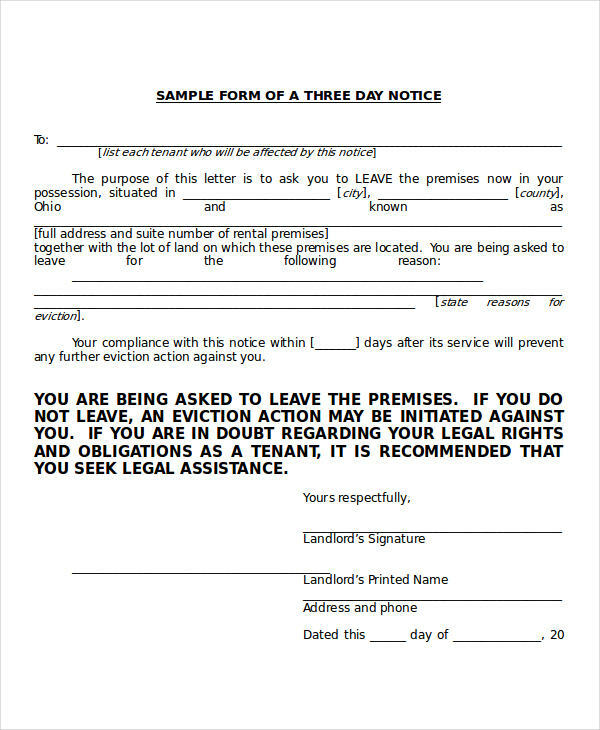 Always treat a notice as a formal document and that it needs to be written in a professional way. 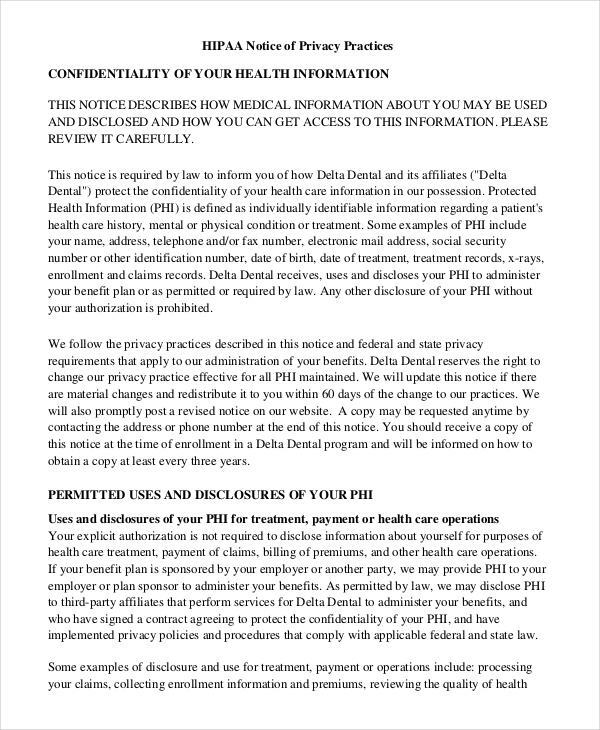 This is for anyone who reads the notice to take it very seriously and to avoid misinformation. Emphasize and highlight the word “notice”. So that anyone would notice the notice word and take the time to read it. Write an eye-catching and appropriate caption or brief explanation about the notice to immediately capture the attention of the reader. Include all the important information in the notice. Such as the place and date on which the notice will take effect and the organization, institution or the people involves. And if it is deemed necessary, write all the specific instructions and requirements needed for the notice to take effect. If you decided to quit your job, the appropriate way to inform your boss is to give them a two weeks notice letter. 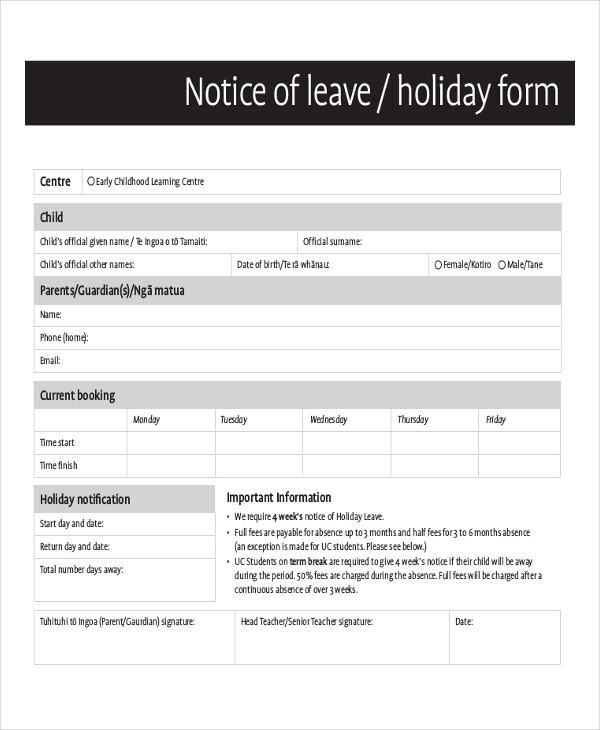 A two weeks notice is a customary practice when resigning from a job. The company may not always accept a two weeks notice unless it’s stated in your job contract. However, it is still best to provide a two weeks notice so that the company will still have enough time to think whether if they are going to accept your resignation or not. 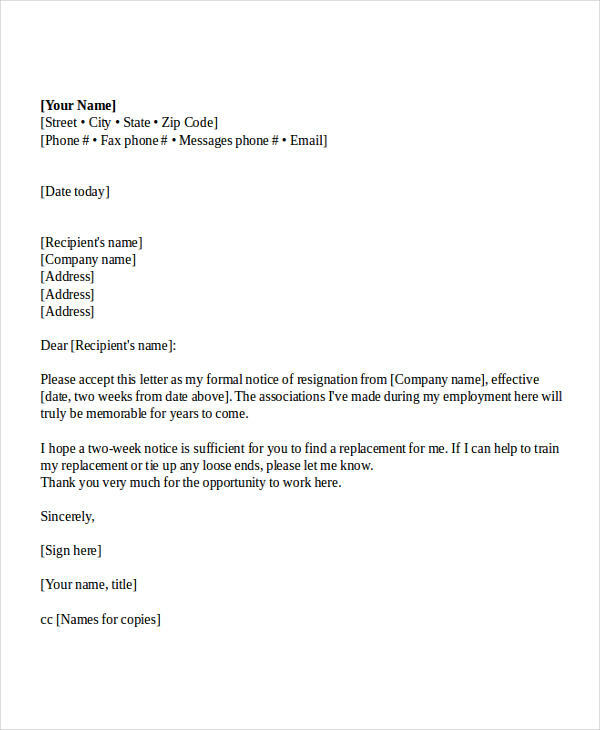 This guide will help you in writing a two weeks notice. Always write it with a formal letter format. 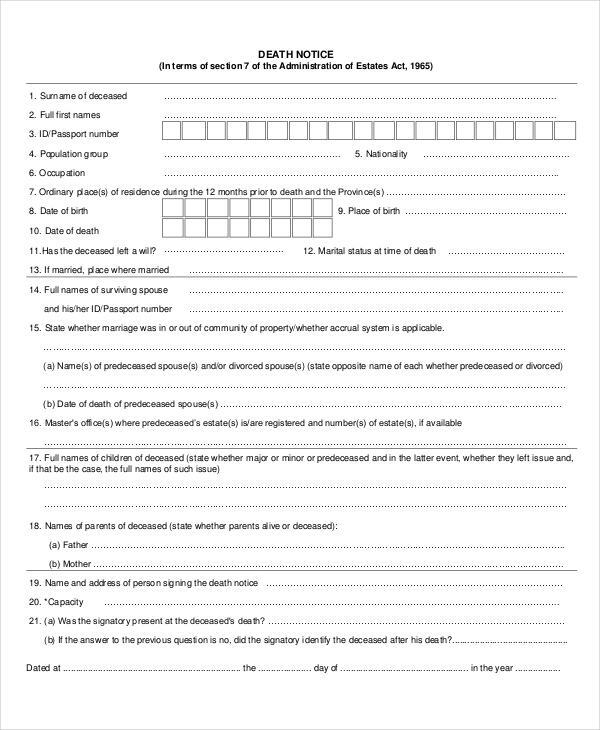 Include your name, the date, your address, and your contact details. Address and greet the recipient properly. Clarify that you are quitting your job on the first line. Don’t beat around the bush. Emphasize that you are giving them two weeks prior to the effect of your resignation letter. Thank your employer for the opportunity provided and offer help during the transition. Avoid stating bad reasons for quitting your job. Don’t share your negative opinions. If you don’t have anything nice to say, just don’t say at all. And lastly, deliver your two weeks notice directly to your boss because it’s best to give it in person.